How old is your phone!! One of the most significant additions to the Museum’s collections in recent years has been a very rare early telephone kiosk from before the GPO (General Post Office) became the national provider of telephone services and public call boxes in 1912. 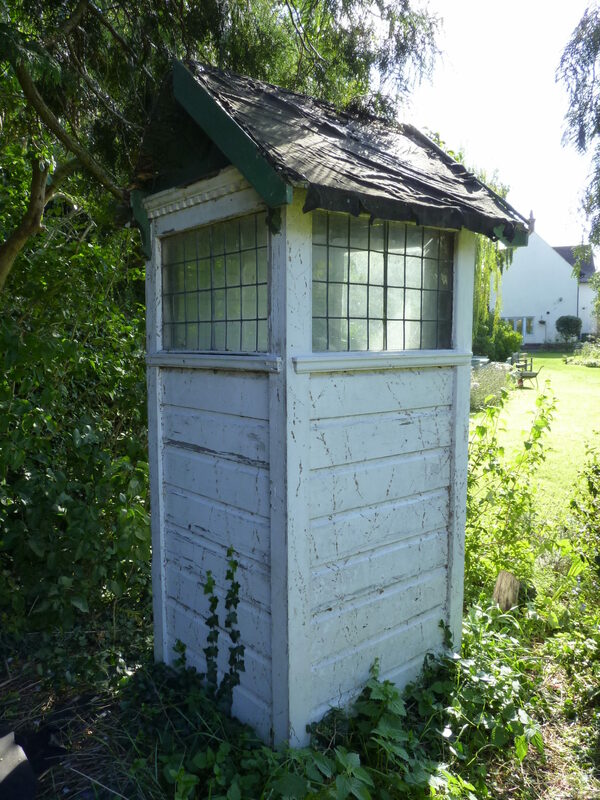 Thought to have been installed c1905, the kiosk (or more properly ‘call office’ as they were known at this date) is a wooden structure of the ‘Norwich pattern’. This was the pre-standardisation shelter design for public telephones in use by the National Telephone Company in the East Anglia region. Originally sited at Gonville Place, Cambridge it was later re-used as an equipment shed at a Cambridge bowls club from 1934 having been replaced by a standard red kiosk. Acquired from the bowls club in the 1980s by a collector, it lived in his garden and it has been acquired from his family following his death. The Museum is very grateful to an anonymous donor who funded the purchase for Avoncroft. The kiosk was collected from Cambridge by staff and volunteers and a full conservation assessment of the box is to be carried out to ensure that as much of the original fabric can be retained during restoration. A suitable location undercover location within the National Telephone Kiosk Collection will then be found to ensure its preservation.